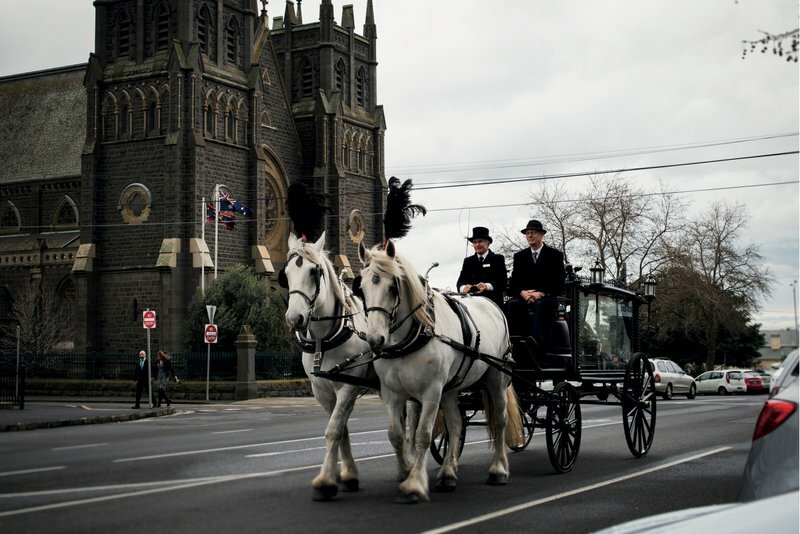 A caring family-run funeral home in the heart of the Geelong community. I cannot begin to tell you how wonderful the care & support from Hepner’s has been. I would recommend them to anyone going through such a difficult time. As a family-run funeral home, Jonathan Hepner Funerals’ caring team understand that a bereavement can be a very difficult and uncertain time for families. Their role is to listen and it a little easier for bereaved families in Geelong to focus on their loved one, with the reassurance their wishes will be carried out with compassion and respect. Jonathan Hepner Funerals can help arrange a funeral that is truly fitting for your loved one, according to faith, tradition, culture or lifestyle. Their focus is on providing a funeral that’s meaningful – whether that’s a traditional funeral with horse-drawn hearse or sedan, or a celebration of life via Harley motorcycle hearse on the beach. The Geelong funeral home can help you to arrange a fully catered and personalised funeral service in an indoor venue or outdoor space that holds special significance to your family. Its Ormond Road premises also has its own bright and modern chapel, with parking on site for mourners. Audio-visual equipment is available to record and livestream funerals, enabling family members who love further away to be a part of a loved one’s goodbye. The funeral is a significant stage in the grieving process, with counselling available to Geelong families after the service has taken place. Its grief counsellor is there to listen should you need to talk and will contact you after the funeral to offer support. 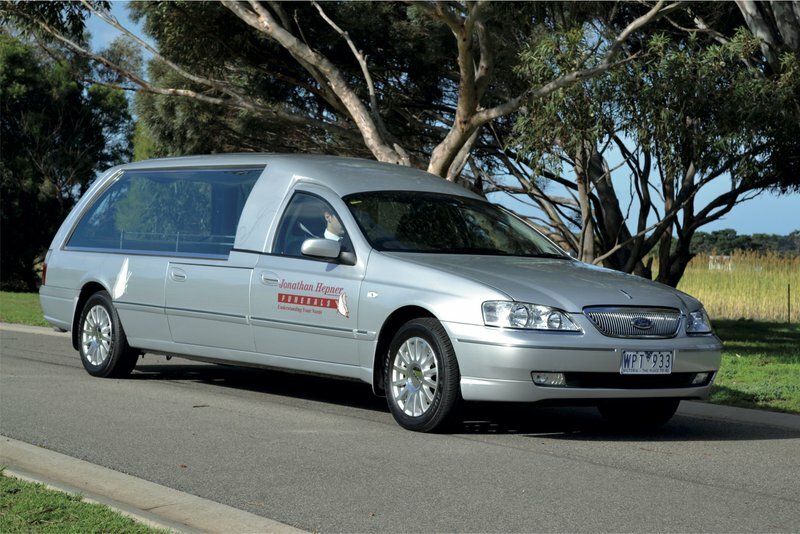 As an active member of the Australian Funeral Directors Association, Jonathan Hepner Funerals adheres to the standards and guidelines that this respected organisation maintains. The caring team at Jonathan Hepner Funerals is on call 24 hours a day throughout the year. Call them at any time, day or night, for compassionate support when it is most needed. We found Jackson from Jonathan Hepner Funerals very respectful, caring and supportive on the recent passing of our husband and father. We are most appreciative. Very good all went off without a hitch. The help and access from Nikki, was exceptional, above and beyond, when we where floundering for music and ideas, Nikki's help was invaluable, The setting on the day was Beautiful, with the thought and special touches we saw, the Family was very grateful. Thankyou for your Professionalism . 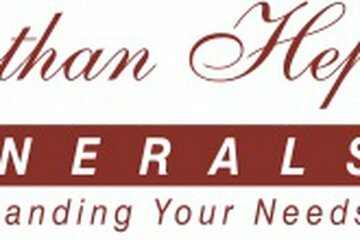 Very happy with Johnathan Hepner funeral services. Well organised, timely courteous, nothing was a problem. Much appreciated in the circumstances. Can recommend them for their most professional service. We would like to sincerely thank Anne and everyone. The funeral was dignified and beautiful- for such a beautiful man. Hi, I have nothing but respect for the way we were treated by Nikki Tonkin, from our first meeting we were thought of as family and nothing we asked for in either help with the direction or style we wished for our mother was ever doubted. Nikki is an absolute asset to the company and just a lovely person, I also have so much respect for the way my mother was cared for throughout the process, from the way we left her in the hospital after the 24 hours of seeing her take her last breath, the way she looked on the day of the funeral she looked absolutely angelic and beautiful and i can't thank the mortician enough also for the care given to mum and to the family for our last viewing and farewells. Kind Regards, Tina Kufner. A1. Very thoughtful and precise. Nikki was fantastic throughout the whole process. My family have used Jonathon Hepner and have found he and his staff excellent. Everything ran smoothly and on time. Even extra care was taken so that the flowers on the coffin were pink and white - pink being my mother’s favourite colour. Very helpful, friendly and caring . Could not fault the service given. Jackson was absolutely wonderful, he was understanding, sympathetic, compassionate and catered to all our needs. I have the utmost respect for such a wonderful family business. Jonathan Hepner Funerals facilitated a professional and compassionate service for Simon Cavenett. Everything went to plan and there were no issues. Simon's family are most appreciative and indebted that Simon's life was celebrated as he would have approved. The staff were attentive and professional. Jackson and the team at Hepners Funerals were very compassionate, sincere and professional throughout the entire process. Their attention to detail and effort to ensure they truly understood what we wanted were second to none. They made our family feel like we where part of there family, wonderful people, very professional, our mum looked amazing for the viewing, exactly how we asked her to look, we wouldn’t go anywhere else, everything we asked for was no trouble at all. Thank you for making our mums celebration of her life so special.